Update: The MV Grande America has sunk in Bay of Biscay in water depth of 4,600 meters, France’s Marine Nationale reported. 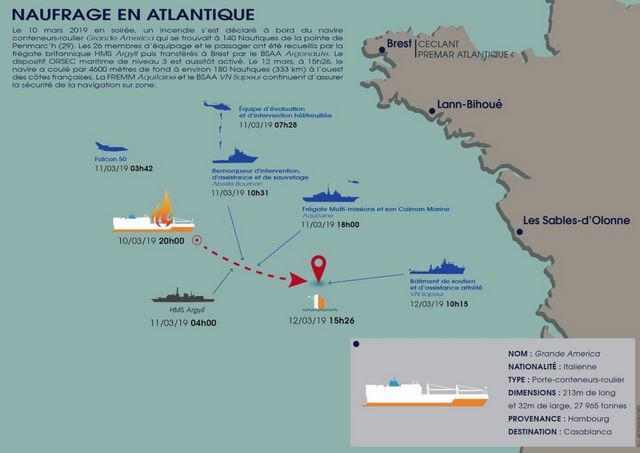 The agency said ship sank at March 12, at 1526 local time about 180 nautical miles off France’s coast. 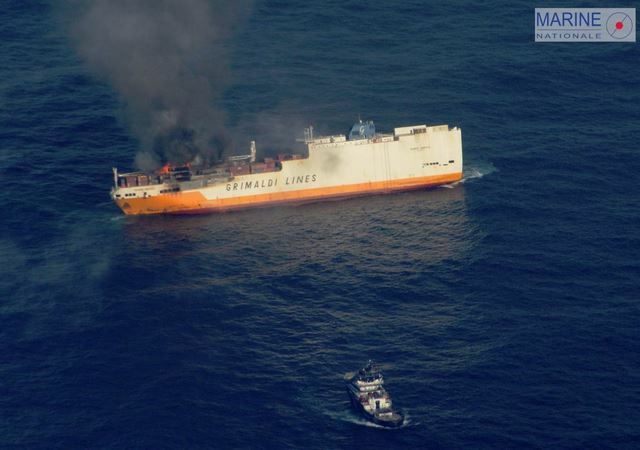 Previous: The situation on board the Grimaldi Lines combination roll-on/roll-off container ship Grande America worsened overnight in the Bay of Biscay as the fire continues to burn and the ship now listing fairly significantly to starboard. 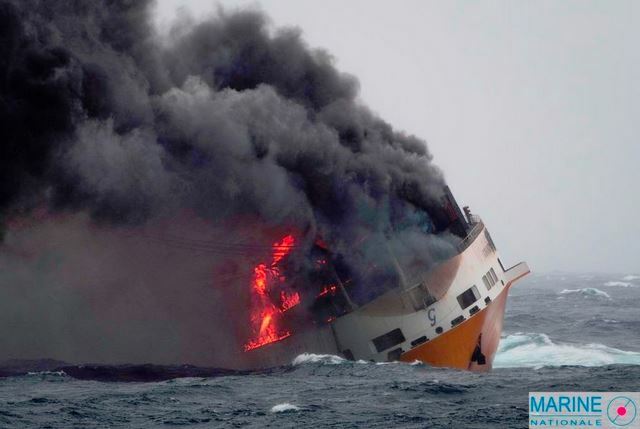 Fire fighting by the emergency tug Abeille Bourbon, which has contributed to the list, has been suspended. Grimaldi Lines had contracted the marine salvage company Ardent, which has contracted two tugs to respond to the incident: the Union Lynx from Vigo, Spain and Tera Sea Hawk from Rotterdam. The tugs are expected to arrive on scene Tuesday night and Wednesday, respectively.